We took all but one of our Pyranha fleet to Scotland this Easter. With only one day of rain all week levels could have been better but then again we’re pretty well practised in running things low after two dry winters! Levels aside, we had a brilliant time taking on the Scottish classics, newbies and hardened veterans alike. Our last run of the Etive was a particular highlight, with some truly ridiculous showboating being pulled (although not always with great consequences!). Photos can be found here! Southampton University Canoe Club win biggest freestyle kayaking competition in the world. Over March 2-4, the National Student Rodeo was held at the National Watersports Centre in Nottingham and Southampton University Canoe Club (SUCC) were out in force, ending the competition with a record 10 finalists and 4 podium finishes. This success, along with the performance of each and every competitor that paddled throughout the weekend saw the prize coming home to Southampton for the first time in the event’s nine-year history. The National Student Rodeo claims to be the largest freestyle kayaking competition in world with over 1000 students from over 40 universities in attendance. 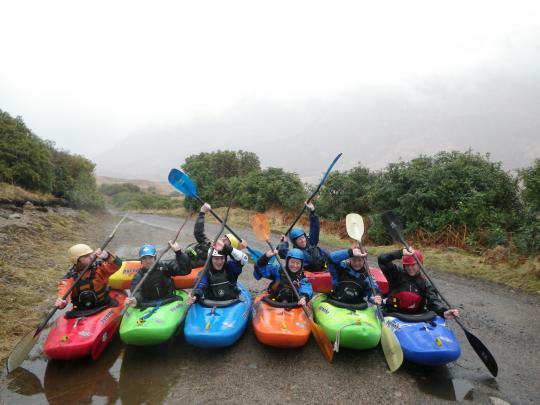 In 2011 SUCC were the winners of the ‘Spirit of NSR’ award, the event’s event’s most lucrative prize which bagged the club sponsorship with the UK’s biggest manufacturer of kayaks, Pyranha, and a fleet of six new boats for a year. Last year’s taste of success has evidently spurred the club on to bigger wins in 2012, winning the overall points competition to claim the much sought after prize: a brand new, unique, tiger striped! kayak. The event is run by Leeds University Canoe Club and River Legacy, who provide entertainment and food on Friday and Saturday nights. This year Southampton took 54 competitors, the biggest contingent of any university canoe club for the second successive year. Finalists included Pete Ainscow (1st place Men’s Novice), Sam Faithfull (3rd place, Men’s Intermediate), Tom Keogh (2nd place Squirt boat), Jack Gunter (C1), Pernille Fladsrud (Women’s Novice), Rich Field (Men’s novice), Matt Wright (Men’s Intermediate), Thom Guy (Men’s Intermediate), Andrew Waterfield (C1), Michael Green and Luke Kelland (Duo). At 9am, after driving along a spectacular mountain road with the rising sun, our mighty Laguna pulled majestically into the Vallouise campsite, nestled in the French Alps where the Gyr and the Onde coalesce into the Gyronde – because the French are creative like that. Eighteen hours of driving, ferrying and snacking (along with the occasional unplanned excursion due to sub-optimal navigation) had landed our group of four in a well-known paddling hotspot around the Durance drainage. Better still, eight of Southampton Uni Canoe Club’s alumni and friends were there to meet us in the morning sunshine for breakfast, before planning out the first day’s paddling. A gentle warmup on the Gyronde gave the three Alpine first-timers a flavour of what was to come. The slalom course was quickly followed up with a blast down the Onde, taking just fifteen minutes, with no trouble – things were starting well. Our first evening, like those after it, found us taking in the stars and numerous stubby beers. Twelve hours in, I was already loving it – great food, spectacular continuous III-IV rapids, fine company and breathtaking scenery. In the days that followed, our tour took in the Durance Gorge, the Middle Clarée, several runs of the Lower Guisanne, the Lower Guil, the Gyr, and countless runs of the Onde (well, when the get-off is pretty much in your campsite, you would too!). 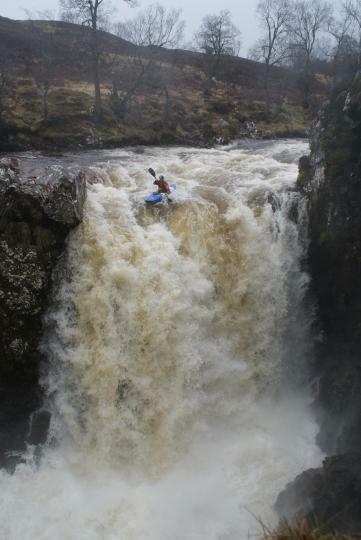 Rivers generally passed without incident, though the author took a couple of rolls on sections a little shallower than is ideal… See the video above for headcam evidence, along with a sphincter-loosening capsize on the incredible Gyr! All was not lost. Though the last of our holiday companions were departing as our car gave up the ghost, we met four top guys who adopted their fellow British paddlers, taking us to some get-ons over our last couple of days in their van. Their kindness was repaid, as we spent a day and a half dislodging a pinned boat of theirs from the Gyr – long live the paddling community! Sadly, our time was drawing to a close. To cut a long story short, our journey home took 36 hours, involving a taxi driver who firmly believed he was at leastas good as Colin McRae, an absolutely gutless Vauxhall Astra (though we at least convinced the hire company not to give us a Twingo) a second taxi driver who smelled awful and rudely got a flat tyre a mile away from the ferry port, a walk, a ferry ride, a couple of hours at Dover whilst they found a replacement for our hire car (which had been given away) and a weary arrival in Southampton, were John and I didn’t have any keys to any house anywhere in Southampton. As for the car, boats and paddling gear…? We’ll let you know when they make it back to the UK. After having a pretty scrapey season up to date, the words ‘SEVERE WEATHER WARNING’ were met with beaming smiles in the SUCC bunkhouse, as the club prepared for their week around Fort William. New members and older veterans of the club alike made the long drive north, and were rewarded from day one with fantastic levels on the Orchy. 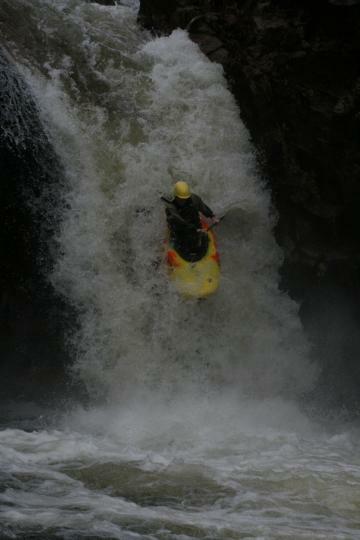 The water kept coming throughout the week, providing a healthy 6 pipe Upper Spean run to keep grins growing. Of course water everywhere means two things for a university canoe club: first class boating and even better carnage. Some nailed lines, others failed lines. Most hucked up whilst the remainder mucked it up. But of course that’s all part of the fun of club boating and there were smiles all round for a great week that had an awesome vibe!